Personalization has become a critical competitive differentiator, particularly in delivering a dynamite customer experience. We all like to feel remembered and appreciated. We all love our favorite restaurant where the hostess remembers our name. Personalization isn't just about being remembered, however. It's about convenience and value during the buying process. So where there are convenience and value, there's dollars and cents. Enhanced customer experience, more convenience during the purchasing process, higher revenue — it’s a no-brainer. So, how do we implement personalization into each stage of the customer lifecycle? Personalization is not a tough concept to grasp, and we all understand what it means. However, it is useful to define some of the ways that personalization finds its way into marketing and customer experience. There are varying degrees of personalization. On the lighter side of the spectrum are things like putting a customer's name at the top of your emails and newsletters. As the personalization increases, you enter the realm of automatic replenishment of consumable goods or subscription-based services. At the highest end, you see personalized shopping experiences where every offer, product, and marketing message is custom-tailored to the user's inclination. Each degree of personalization finds use at different stages of the customer lifecycle. For example, too much customization in the acquisition phase can be alarming. Imagine being on a first date and the other party already knows a worrisome amount about you. Uncomfortable, right? Thus, personalizing each stage of the customer lifecycle requires a little bit of balance and moderation. You only want to personalize within the customer's comfort zone for that stage. We'll explore this more as we move through each step of the customer lifecycle. Arguably, personalizing the awareness stage of your customer lifecycle is the most challenging. You have limited data on customers in this part of the funnel, which means you don't have much information to base your personalization tactics off of. So as mentioned before, too much personalization in these early stages can be off-putting to potential new customers. Consumers in the awareness stage have a problem or need, and they want information about possible solutions. Connecting them to this information will help facilitate their journey through your funnel. You can gain some insight into what this problem is based on their browsing behaviors. Which pages of your site did they visit? What keywords did they enter? What content requests did they make? Then, you can personalize the experience by offering other relevant and information-bearing pages. ASOS’ online clothing store does a great job at this. Once a visitor enters their site and clicks on the main category (women's clothing, men's clothing, etc. ), the website remembers this preference. On the next visit, ASOS automatically redirects them to that page because it is the most relevant to their shopping needs. In the consideration phase, customers have volunteered a little more information and data about themselves, and they are more receptive to personalized messages and experiences. This means that personalizing the customer journey comes a little more naturally. Your customers at this stage aren't just looking for it; they are expecting it. The consideration phase is when customers are taking the time to research and evaluate different possible solutions for their problem, including your option(s). They are about to reach their final decision, which means you’re at mission critical for making that final push to win them over. Continuing to offer relevant content and information to customers is still important because they have yet to reach their decision. However, customers in this step of the funnel have likely filled out an information request form or signed up for an email newsletter, which means you have an even greater duty to open up the lines of communication and personalize their journey. You should help them reach their decision by offering case studies, testimonials and other content. Re-engagement is a big concern in the consideration phase. Some customers will demonstrate genuine interest, only to slowly fall off. This doesn't mean that they don't want your product! Sometimes, people get busy. Engaging them once more with a personalized email is a potent tool that facilitates their movement towards the later stages of your funnel. 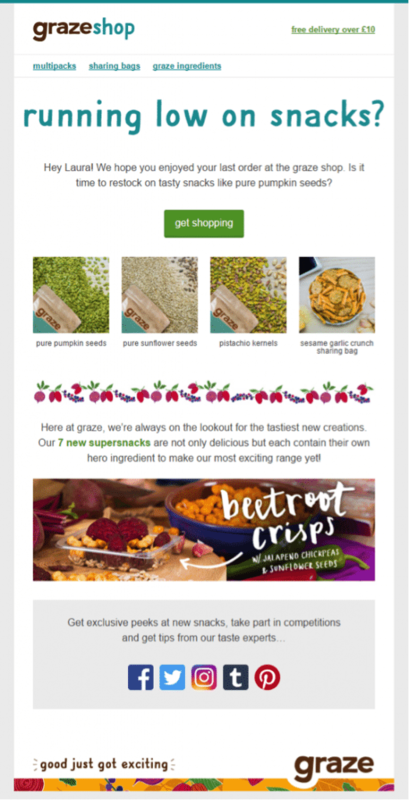 You can make this unique to each potential customer or create an all-inclusive re-engagement email. Vidyard does an exceptional job by offering a video re-engagement message. Another great example comes from Chain Reaction Cycles. They created a simple reminder message of what they have to offer. Then, they sweeten the pot with a special offer. At this point in the funnel, you don’t have to worry as much about going overboard with the personalization. 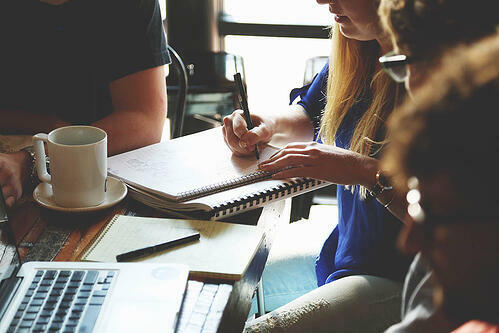 These customers have visited your website multiple times, they’ve talked to someone in your sales department, possibly joined your mailing list and have taken other steps to connect with your brand. It stands to reason that you should know exactly who they are and what they are after. However, it would be best if you were very tactful with the personalized strategies you are implementing at this part of the funnel. Customers in the buying stage have all the information they need, and they are ready to make a purchase. So, your personalization efforts need to support this. Focus your attention on creating and delivering special, personalized offers that incentivize their purchase or add extra value to your products and sales pitch. You want to ensure that these offers are relevant to the types of products or services they are after. Hopefully, you’ve been able to gather this data in earlier stages. If not, you can always ask! 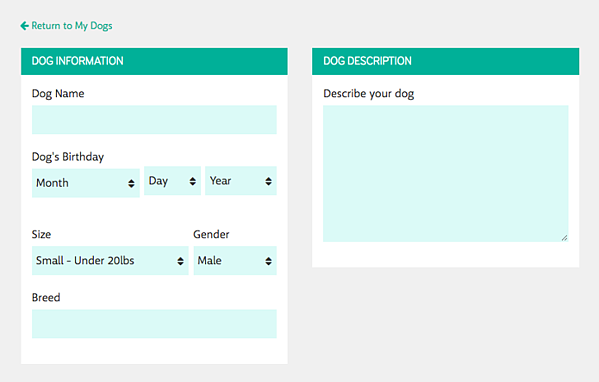 DoggyLoot achieves this by having potential customers create a user profile for their dog. Then, the company can target shoppers with personalized offers for products that are relevant to the size, breed, and age of the dog. So, the lead has finally made their purchase, subscribed to your service or otherwise become one of your many customers. However, that doesn't mean that personalization has to stop! Their purchase adds an incredibly valuable piece to the data puzzle that we need to continue custom-tailoring their experience with the brand. Now, we have bonafide evidence of their purchasing preferences, which can be used to re-target them for future purchases and maintain high customer retention rates. There are many different personalization strategies to offer with this stage. 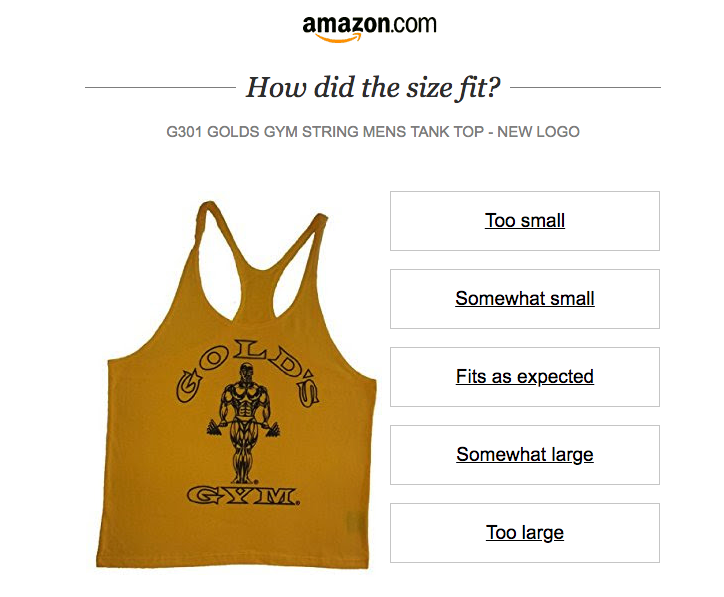 For example, you can take a page out of Amazon's book and send an email asking for product feedback and review. Alternatively, offer complementary products. 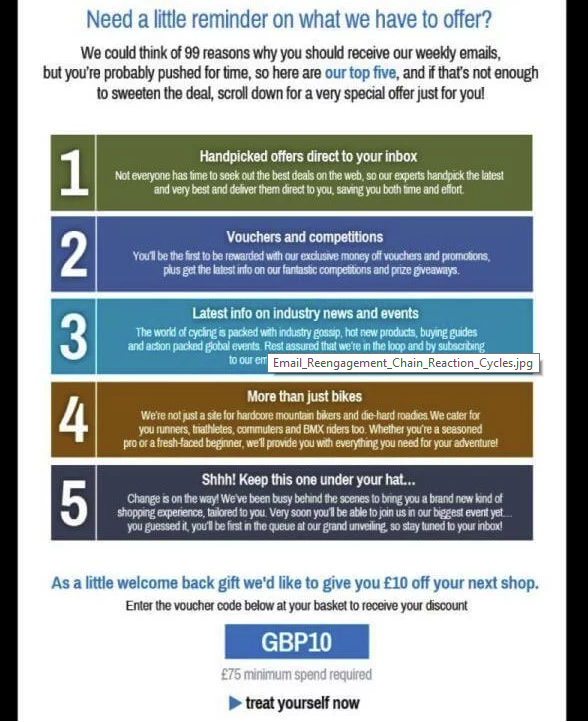 You can also direct them to your customer loyalty program to help encourage (and reward) future purchases with your brand. As more and more purchases are made, you can get better at predicting your customers' needs and behaviors and meet those activities with the right offers and messages. Graze, for example, collects lots of data on its users with regards to how frequently they make purchases. This allows them to send these types of emails that predict when their customers need to restock on snacks. Personalization is a powerful marketing motivator. People don't want to spend the time filtering out irrelevant products or offers, nor should they. By strategically using the information that your customers have supplied you, as well as supplementing your data with third-party customer demographic data, you can create much more accurate targeting campaigns that see higher success rates. Moreover, customers will enjoy feeling unique and vital to your brand during their entire lifecycle, instead of just another sales figure. Anastasia Sviridenko is a content marketer at TextMagic, a bulk SMS software provider. When she's not writing, you can find her spending her evenings playing tennis or enjoying karaoke.